These are the show notes to an audio episode. You can listen online right here by clicking: http://media.libsyn.com/media/airspeed/AirspeedGAP2009.mp3. 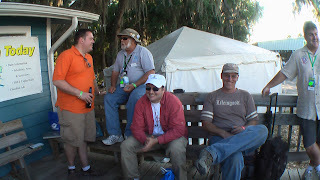 As many of you know, Airspeed participated in the Gathering of Aviation Podcasters at Sun ‘N Fun last week. Jack Hodgson of Uncontrolled Airspace just provided the audio file that Dave Shallbetter of Sun ‘N Fun Radio was kind enough to capture. Thanks, guys! This version is unedited and unvarnished. Heck, I’m going to be listening for the first time on my own show. But that’s how we roll here at Airspeed. Enjoy!